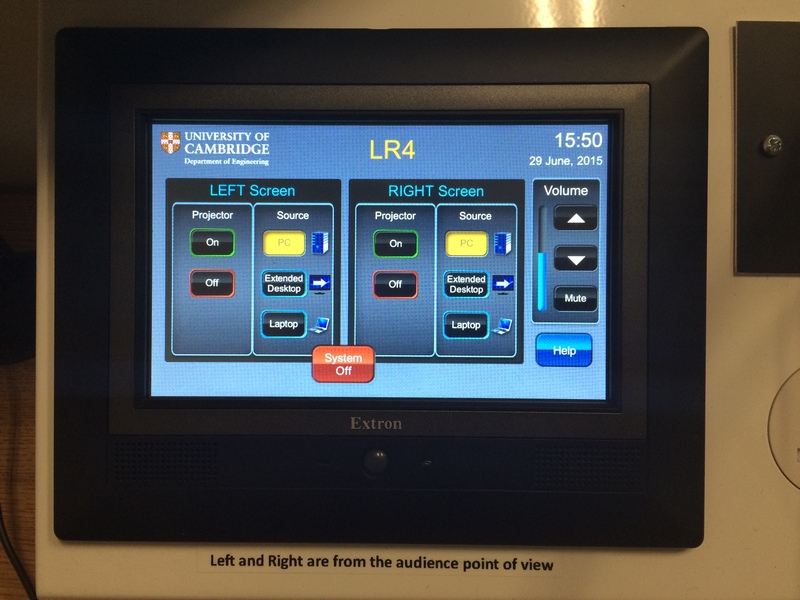 Over the summer break, AV Support conducted a pilot upgrade of the audio-visual system in LR4. The aim was to make the system easier to use, improve the security of the equipment and house everything in a professional looking lectern. 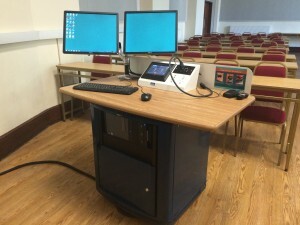 Do you find it easy to use? Were you able to achieve what you wanted from the system? What about the system do you feel works particularly well? What about the system do you feel doesn’t work well? 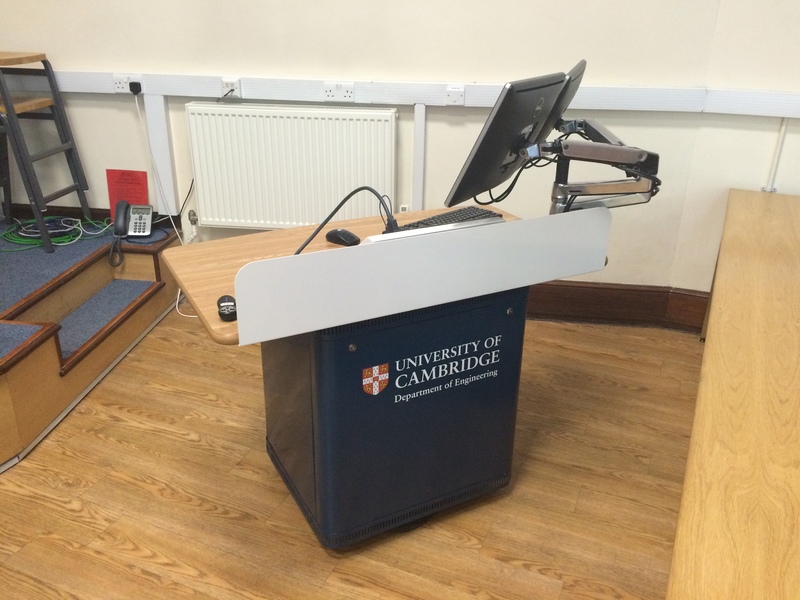 Is the look of the lectern correct for CUED? Any comments and suggestions are gratefully received and should be sent to av-support@eng.cam.ac.uk.